For a millennium the lands of Kainordas and Fenvarrow have been at war, ever since the gods of shadow and light broke the Great Well of Souls. In the absence of victory, they have settled into an uneasy stalemate - until a prophecy foretells of a child of power who will finally break the balance. Each side races to find the child, and when they do, a battle ensues with unexpected consequences - in a terrible accident, the child's very soul is ripped in two. Each side retreats with their own part of the child, uncertain as to whether they now possess the one capable of finally ending their age-old battle. 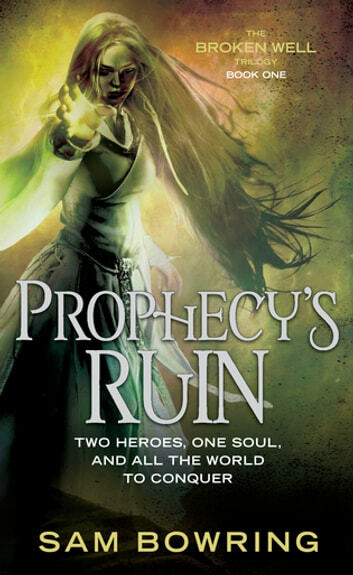 PROPHECY'S RUIN tells the story of the two boys as they grow to be men. Bel becomes a charismatic though troubled warrior, Losara an enigmatic and thoughtful mage. Both are powerful young men, yet incomplete. As they struggle to discover their place in the world and the shape of their destinies, inevitably each has to ask the ultimate question: will he, one day, have to face himself? Sam Bowring is a stand-up comedian and writer living in Sydney, Australia. Author of the acclaimed Broken Well Trilogy and the Strange Threads Duology, he has also written children's books and for a number of television shows. For more about Sam, visit sambowring.com.